Sam gives us his broad range of favorites for the year. Monster Hunter was a big surprise for me; I honestly had no intention to even play it before it came out this year. I don’t like MMOs and I hate grinding for new gear just so I can grind for new gear. In the past, the series just did not interest me and I actively thought it looked bad. Then they hosted a public beta for the game right before release and I got hooked. I only played maybe two hours of the beta, but I couldn’t stop thinking about it after. Cut to the day before release and I had talked myself into preordering it on PSN so I could start playing as soon as it was released. The game would hold its grip on me for a few weeks, being almost the only thing I played at that time. The Insect Glaive and it’s abilities were the real star of the show for me. This weapon set allows you to pole vault yourself around the environment and attack monsters from any angle. It works great for playing alone because you can bail at a moment’s notice, but it’s also great for mounting the monster if you are working as a team to bring it down. The set also has a insect that almost works like a drone, allowing you to control it independently while you are fighting the monster separately. You can use it as a distraction or a way to pull buffs off of specific parts of the monster’s body. It’s kind of nuts how well it mixes the two combat elements together, taking the best parts of a third-person action game and a third-person shooter, mixing them together and making a control scheme that’s actually intuitive and fun to use. Monster Hunter is the only game on my list this year that I wouldn’t recommend to everyone. It takes a dedication to learning how monsters and battle systems work that requires study of the game, and I don’t think that’s something most people look for in games. If you are looking to learn and want to play with some of the coolest weapon systems around then definitely check it out. Can’t say that I didn’t see this one coming. Smash has been an important game in my life since the launch of the series. It has always been the game that my brother and I have been the closest to each other in skill level and have had the most fun playing together. Thankfully, Smash Ultimate is bursting at the seams with stuff for Smash players to do and see. There is so many quality of life changes that it would take me this whole post to talk about all the cool ones that have made the game better from past installations, in my opinion. I think one of the nicest ones is being able to save presets for match types. That way when you and your friends sit down to play you can get right to it and not have to mess around with a bunch of settings. It’s really all about getting your friends together to play and it’s so nice that a game like Smash gives you so many options to do so, including allowing for eight people to play at once. 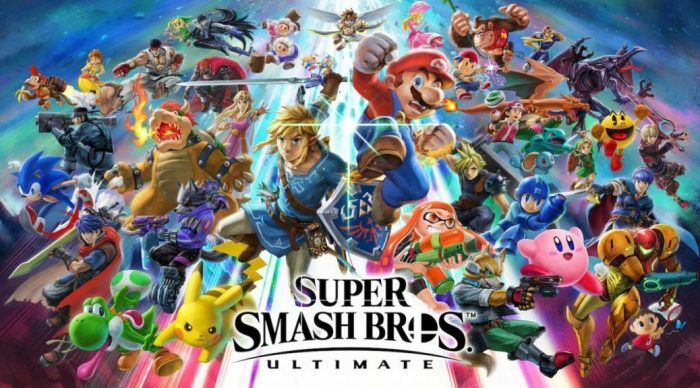 Even if you don’t like the fighting in the game, Ultimate could almost work as an abridged copy of a Nintendo reference book. Both music and art from so many games are featured it’s almost worth checking out just to see it all if you’re a fan of gaming history. Some people take Smash too seriously, and I’m not going to pretend that I don’t sometimes. But Smash has always kept one foot planted in being a silly, over-the-top party game and has never made serious players its main focus. Because of that, both types of players can enjoy the game together. And I can’t think of another game that manages to do that. I have never been to England, where Forza Horizon 4 is set, but the environment in-game reminds me a lot of where I’m from in Pennsylvania. From the knee high stone walls that protect drivers from going into small ditches just off the road to the seemingly random collection of trees in an otherwise empty field. These spaces feel like I could got just a few miles down the street and see that exact location. It also helps that Pennsylvania has very distinct seasons which is a huge feature in the game. Basically I got to drive around all the dumb turns and dirt roads I drove around as a teen just at slightly higher speeds and with exotic cars. It offered me a sense of calm I felt was lacking in 2018. It has also been the perfect thing to play while listening to podcasts or new albums, which I would normally be doing if I were driving somewhere. Fall and Winter were the real standouts for me, featuring a lot of racing dealing with both off- and on-road racing. It also featured races in cars and setups that maybe wouldn’t be great in those conditions. These races are great for teaching car control and checking if you truly are ready to take off that next driving assist. I say it features, but really it is up to you what the game features. Just about every event is customizable. Car type, route, weather, season, and rules can all be changed before the race. This includes AI difficulty and driver assists. This also carries to online when you are playing with your friends. Even if your skill levels are vastly different and one drives with all the assists on while the other drivers with none, you can still play together. The only thing that is different between players will be the reward at the end of the race. There should also be something said for Playground Games’ support of the title since the game has come out. Every week the season rotates in-game and there are new championship races added as well as cars and other seasonal events. The first DLC expansion, Fortune Island came out in December and adds even more dirt racing fun and more activities to do in the openworld. Hopefully that support continues into 2019 and doesn’t fade once the second planned DLC comes out. 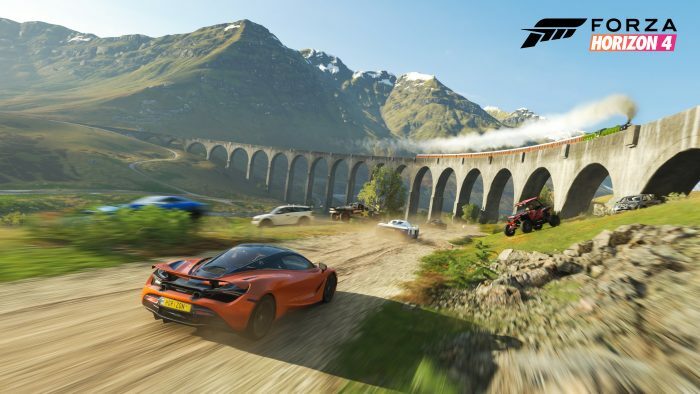 If you like driving games and sims or Mario karting aren’t for you, Forza Horizon 4 should be the top game on your list for this year. 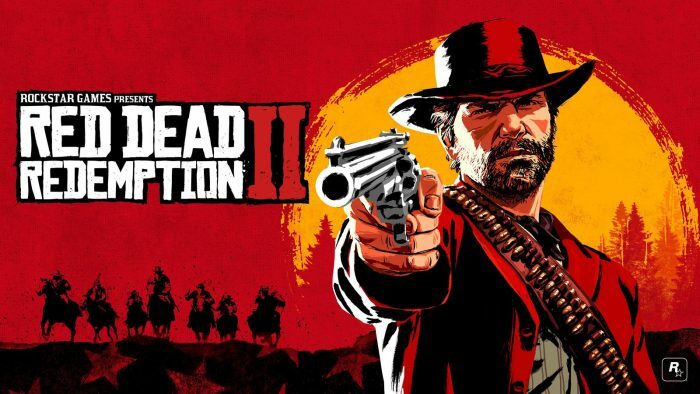 Of all the games on my list, Red Dead seems like the biggest cop out. Of course the biggest budget, highest grossing, most talked about narrative title of the year is going to find its way on my list. But this pick is more aspirational than anything. I’m not saying I haven’t already had an incredible time with the game. The world is amazing to see and the narrative construct of camp and the people inside of it are interesting and worth exploring, but man is that game thick. Think of it like a great dessert. It’s tasty and delicious, but I need to take breaks between bites or I might get a headache and regret it. I haven’t finished the story yet, and boy does it have problems, but Rockstar is still able to create amazing side stories and little interactions that lead to some of the best moments in their narratives. Some of the most fun I have had with the game so far has been online. There isn’t a lot to do yet, possibly only five or six actual “story” missions, but messing around with your friends is already great. Maybe you go on a fishing trip with the posse and see who can catch the biggest sucker down at the pond. Or maybe you get the gang together to go be bad boys in Rhodes and take the pelts from any other human player riding into town to sell them. As long as content gets added to the game at a pace close to GTA5, we are likely looking at a game that myself and many other will be playing for years to come. If you would have asked me a week ago what my top games were, I’m not sure that the new Mario Party would have even been close to the list. Thanks to the holidays however, I got to see it shine at its brightest. Sure, at its core the game plays exactly like the past titles in the series, but it’s use as a show piece for the Switch and it’s Joy-cons bring that special level of Nintendo magic the series has been lacking for a few iterations. For returning players the only real major change to a normal game board round of Mario Party is character specific dice blocks. These blocks are different from the typical 1-6. They could be something like three 3s and three 4s or 3-6 with 2 results that could be zero spaces but plus 2 coins. They don’t greatly affect gameplay, but seeing players feel like they should use their characters dice because they think that character would is heartwarming every time. The Ally system is another great addition, allowing players to collect other characters to join them on their quest for victory. This gives players that character’s dice block, allowing them to roll it and give them and extra 1 or 2 to every dice roll per ally. Some players will try to collect them all while others feel pride in going it alone. 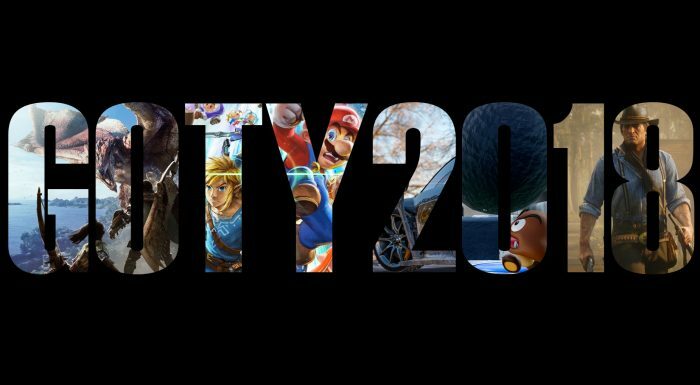 As with every title in the series, it’s used to show off whatever new Nintendo thing is going on with that generation’s console. About every feature of the Joy-cons but the NFC reader is used in different mini games. One that sticks out in particular has players judging which actor is behind a curtain. A series of different actions play out on screen that correspond with a rumble pattern in the player’s controller, a curtain is then drawn and one of the rumble patterns is played back again. New players to the Switch are almost always surprised by how well the rumble works and how well it is integrated into the games that use it. It’s also incredibly hard to ignore the nostalgia factor for the Mario Party series. Over the holidays I played games with a lot of old friends and family, many of which I have played past games with. It’s so nice to be able to play something that most people are going to be comfortable with right away and if they are new they can quickly figure out what is going on and not feel like they are miles behind everyone else. 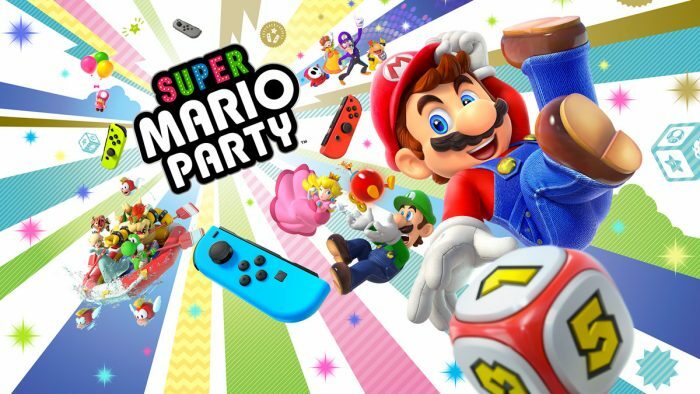 Super Mario Party is like a warm cup of your favorite heated beverage sitting on a table next to a chair in front of a window when it’s snowing outside, and I think we all needed something like that in 2018.